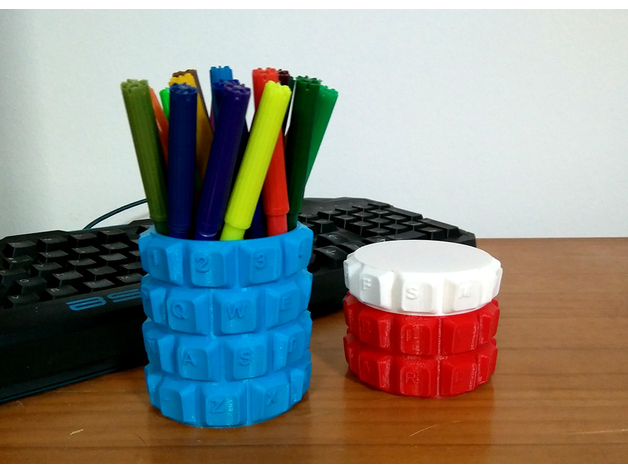 Customizable Keyboard Penholder/Box #3DThursday #3DPrinting « Adafruit Industries – Makers, hackers, artists, designers and engineers! 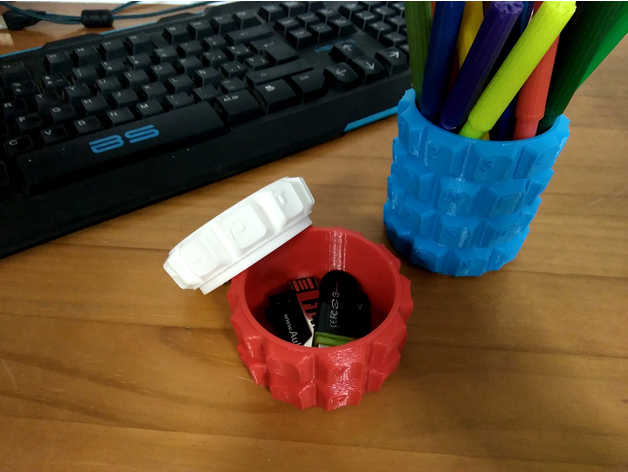 The customizer generates 2 figures: The vase and the cap so you can print penholders or planters and using the cap you’ll get a nice box. I’ve included a bunch of STL’s related to the most common keyboard layouts: QWERTY (US and spanish), AZERTY, DVORAK, COLEMAK and MALTRON. Also the caps with the name of the layout are included.